Rajinikanth's 2.0 has grossed Rs 12.58 crore at the Chennai box office in six days. The film is expected to surpass Sarkar's collection in the next few days. The collection of 2.0 has not surprisingly dropped and remained stable in Chennai even on weekdays. The movie has made over Rs 1 crore collection for the sixth consecutive day and now getting closer towards shattering the record of Vijay's Sarkar. 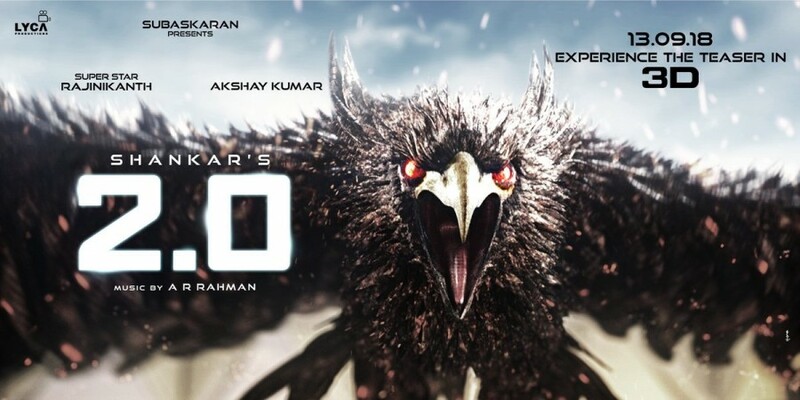 On Tuesday, 2.0 has grossed Rs 1.17 crore at the Chennai box office. The movie approximately had over 200 shows across the city and had good occupancy rates for the morning and evening shows. The total collection of Shankar's creation stands at Rs 12.58 crore by the end of its sixth day. The movie is attracting the family audience to theatres and the 3D shows are getting a better response than 2D shows. The current trends indicate that the business of 2.0 in which Akshay Kumar plays the antagonist's role would remain stable for the next few days. On the other hand, Vijay's Sarkar made a collection of around Rs 16 crore in four weeks. Last weekend, the collection of the film took a hit because of 2.0. Yet, the film made Rs 5.56 lakh from 45 shows. Sarkar is the highest-grossing movie in the capital city of Tamil Nadu in 2018 and 2.0 is expected to surpass the collection by the end of its second weekend at the Chennai box office. On the other side, 2.0 has grossed over Rs 400 crore at the worldwide box office. In Tamil Nadu alone, the film has raked in over Rs 60 crore. The film, which has Amy Jackson in the female lead role was made with the budget of Rs 570 crore. For the break even, it should gross over Rs 1100 crore. Shankar's 2.0 is a science fiction about how the radiation from cell phone towers harm human and other species.